Central Baltic INTERREG IV A Programme 2007-2013 is a European territorial co-operation programme that focuses on environment, economic growth as well as attractive and dynamic societies in the central Baltic Sea area. Marine Strategy Framework Directive (MSFD) sets a target for achieving good environmental status in the marine environment by 2020 and suggests Member State cooperation to ensure coordinated development of marine strategies in the same marine region. The main aim of the GES-REG project is to support coherent and coordinated implementation of Marine Strategy Framework Directive in the central and north-eastern sub-regions of the Baltic Sea. The project improves the marine environmental management in the region via dissemination efforts towards the main target groups of environmental authorities, institutions responsible for marine monitoring and assessment, HELCOM, stakeholders and wider public. Project utilizes the methods of analysis, publications, and meetings with environmental officials as well as thematic seminars. 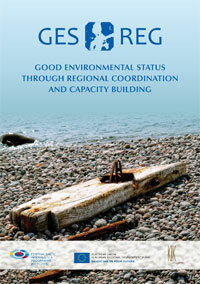 The GES-REG project has published a booklet with an overview of the results of the project. Ask the Lead Partner for paper copy. Click on the image to download (PDF, 2MB).